Coach Michael Vinson has been affiliated with the Indiana Storm (summer track program in the USATF circuit) for 17 years, serving as head coach for the last 15 years. Coach Vinson is certified by USATF as a Level 1 Certified Track Coach. He has had the pleasure of coaching some of the nation’s top elite track and field athletes. Coach Vinson is currently coaching at North Central High School. Coach Vinson has also coached at Ben Davis (2008-2016), Northwest High School (2007) and Pike High School (2004), where some of the athletes have achieved school records under his guidance. A native of San Diego, California, Coach Vinson moved to Indianapolis in 1994. He is married with four children. Coach Albert is from San Diego, California where he attended Lincoln High School and San Diego City College. Albert was a training supervisor for AT&T. When he retired, he and his wife Bridget moved to Indianapolis to be close to sons Michael and Andrew, and grand kids. Andrew is an engineer at Comcast. Michael coaches track at Ben Davis High School and is the founder and head coach of Indiana Storm Track Club. Coach Albert is certified by USATF as a Level 1 Certified Track Coach. Albert has many years experience working with youth athletics and currently coaches track at Avon High School. Coach Albert has been a coach with Indiana Storm for 14 years. Coach Pat Chavis IV was born and raised in Indianapolis, and works as a local practicing attorney. 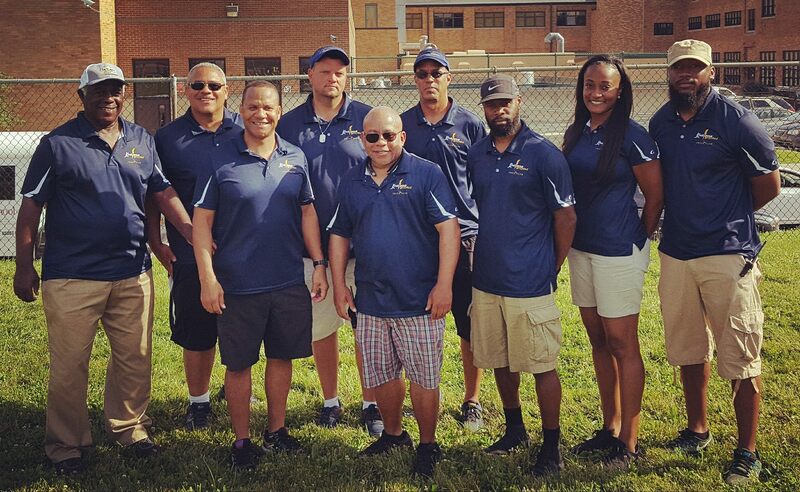 Coach Chavis has served as a volunteer coach with the Indiana Storm Track Club for over 10 years. His passion to develop and train youth athletes is evidenced by his unconditional service to the team and the Indiana track family as a whole. Coach Chavis served a number of years on the USATF Indiana Board of Directors, including 2 years as USATF Indiana Youth Chairman. Coach Pat is certified by USATF as a Level 1 Certified Track Coach. In addition to his long term commitment to the Indiana Storm family, Coach Chavis serves as a volunteer coach for Fall Creek Junior High located in Fishers, IN. Coach Chavis is an experienced track and field coach, administrator and meet director. His goal is to teach the sport of track and field and develop you athletes throughout the Indianapolis area. Coach John has been a coach with the Storm for 9 years. He concentrates his instruction on sprints and relays. Coach John is certified by USATF as a Level 1 Certified Track Coach. With this certification, Coach John is recognized by USATF as a achieving a level of coach quality and standards that makes him ideal to coach the youth athlete. As a member of the Storm coaching staff, Coach John has been honored to coach top caliber athletes. But, he is more proud of being a mentor and a role model to the fine young men and women who make up the Storm family. Coach John is currently coaching at North Central High School. He is currently a member of the USATF Indiana Board of Directors. Coach John understands the importance of and facilitates a nurturing environment where our student athletes may develop their track skills while learning life-lessons. Coach Pyles was born and raised in Wichita, Kansas. He graduated from Kapaun-Mt. Carmel High School. He was a 2X Kansas state wrestling champion, as well as a 2X state champion in the 800 meter dash and 3200 meter relay. He wrestled at Washington University in St. Louis, Missouri. He received a medical degree from University of Cincinnati Medical School in 1991. Dr. Pyles completed his post medical school training at Indiana University Medical Center. He is board certified in Internal Medicine, Cardiology and Interventional Cardiology. He is married to Valorie and has two teenagers, Joseph and Josephine. He joined Indiana Storm Track Club as a coach to help assist young student athletes excel in track and field, as well as help them build character, self-esteem, and confidence. Coach Jesse was born and raised in Indianapolis and graduated from Tech High School. He is married to Angie and has four children Joshua, Amber, Cody, and Anthony. Coach Jesse is certified by USATF as a Level 1 Certified Track Coach. He is the Avon High School Sprint coach and has a strength and conditioning training background. He is the owner and operator of Performance Fitness Lab (www.performancefitnesslab.com) and creator of the TrackFit program that focuses on developing strength, endurance and power of track athletes. Coach Jesse states that he is “blessed to be a part of the Storm team to continue helping our youth and future stars by encouraging them to reach their aspirations by being the best they can on and off the track.” Go Storm! Coach Ina was born and raised in East Cleveland, OH where at age five she began running track/field and cross country. Ina actively competed in the USATF and AAU Junior Olympic sector. She attended St. Peter Chanel High School where she ran track, cross country and played basketball. With a strong foundation of hard work, and a humbled attitude, Ina became a five time state champ. She was offered and accepted an athletic scholarship to Purdue University where she continued to grow as an athlete and person. After completion of her bachelor’s degree she went on to obtain her Master’s degree at Purdue. She is the daughter of Walter and Ellenora Jackson and has two older brothers, Walter Jr., and Timothy. She is the beautiful wife of coach Roberto McBean. Her greatest hope is that the skill set youth can learn mentally, physically, and emotionally on the track, they can apply to any and every life circumstance off the track. Coach Berto was born and raised in Berkeley, CA. As a junior in High School he began running track and field and playing football while attending Berkeley High School. With a strong foundation, of hard work and resilience, Roberto was able to earn a full athletic scholarship to Purdue University to play football after completing two seasons at San Francisco City College in California. Coach Roberto has an Associates of Art in Education, B.A. in Sociology, as well as an MBA in Management. Coach Roberto’s life creed is to “make sure the sacrifice you make is worth the loss you take” and there is no better sacrifice you make than that of self discipline, in order to be true to your craft, dreams, and desires. Coach Yameen Chestnut was born and raised in Washington, DC, attended undergraduate at Howard University and works as a Licensed Marriage & Family Therapist here in Indianapolis. Coach Chestnut has volunteered as a coach for the past two years, but has participated with the club since 2011. Coach Chestnut attained his USATF Level 1 certification since 2001 and has competed in track as a youth member, high school, college, elite development and Master’s level. Coach Chestnut is married and has three daughters, two of which participate on the club.